Ministry VSA working on universal health care for St. Maarten In an effort to make our health care system more efficient, effective and sustainable, the Ministry of VSA, is working on legislation to reform St Maarten’s national health insurance system. Worldwide, National Health Insurance is a project that everyone recognizes as important for every community. The World Health Organization’s (WHO) technical definition for universal health coverage is the ability of all people in communities to be able to use promotive, preventative, curative, rehabilitative, and palliative health services that they need of sufficient quality to be effective while also ensuring that the use of these services does not expose the user to financial hardship. Minister expounded on some of the terms. Equity and access to healthcare services means that everyone who needs services should be able to get access to them; not only those that can pay. The quality of healthcare services should be good enough to improve the health of those receiving the services, and people should be protected against financial risk ensuring that the cost of the services does not put our people at risk of financial harm. The WHO, in their constitution, identifies health care as a fundamental human right, a principle to which the Ministry of VSA certainly agrees. “These are things that all the members of our community, I don’t think, have problems to agree on. ”, said Minister Lee. Globally the discussion about health care (universal health coverage) is a very difficult discussion. It is a topic that very often divides countries. Minister Lee used the discussions in the United States regarding Obamacare and Trumpcare as an example of the difficulties experienced in universal health care discussions. The question about having access to quality healthcare is undeniable. The question becomes, define quality, define access, and the difficult question of ‘how do you fund it?’. Fact is that healthcare costs, globally, are steadily increasing. As technologies and new medication become available, those costs only continue to increase. Structuring our healthcare system and our health insurance system is a critical way of managing the quality, the efficiency, the effectiveness, and the cost to the country. There are many people on Sint Maarten that do not have access to affordable health insurance due to various reasons. Instead of denying persons to treatment these costs often are absorbed by the Government to ultimately pay for those service, which eventually comes back to the people in forms of other taxes. Therefore, in order to strengthen our health care system, the Ministry is committed to working toward universal health care coverage, and the Ministry is fairly far in the process. There have been a number of stakeholders consultations over the past year. “The conversations are difficult, heated conversations. It is a time-consuming process, with a lot of energy spent on trying to build consensus. It is important that the public realizes that the way things have been continuing right now cannot continue. We need to structure our healthcare sector from all aspects. We need to improve the quality of care, the access to care, and how we finance it.”, said Minister Lee. Healthcare is currently financed through premiums from individuals’ salaries in addition to a form of contribution from government. “Ultimately, I think that taxing people’s salary for healthcare isn’t sustainable. I think that we need to look at some form of a broader taxation. For example, Aruba has a “health tax” in the form of turnover tax. 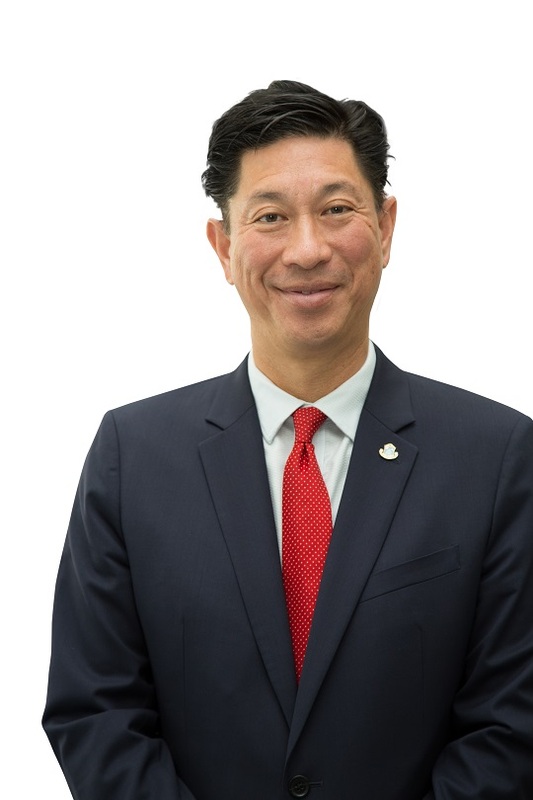 This would mean that all the tourists that visit the island contribute financially to our healthcare system as well.”, said Minister Lee. The Ministry of Public Health, Social Development, & Labor are working diligently on National Health Insurance and expect to have it in Parliament for debate by the end of this year. Minister Lee thanked the Department of Public Health and team at SZV for their tireless effort toward this project.